These Bloomsbury Way offices are situated on a prominent corner elevation just east of Holborn tube station in London. Local amenities for the area are plentiful with a blend of bars, restaurants, and shops in the area ideal to spend a lunch break in. 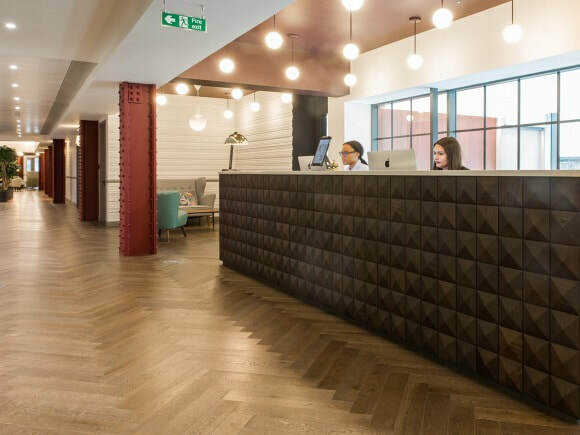 Within the building, there is a vast range of serviced offices to rent all of which have furniture provided and communications wiring installed. The Business Centre boasts some great amenities including a library, lounge and seating areas, boardrooms and comfortable break areas. Kitchen points to make tea or coffee are onsite and there is a garden area on the roof of the property. Transport for the region is good with bus routes and rail networks serving the area and beyond. For companies that are looking for a fully functional office that can be let on various term agreements, this office space would be perfect.